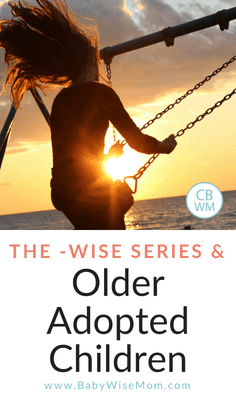 The -Wise Series and Older Children/Adoption. Babywise has benefits for older children and adopted children. 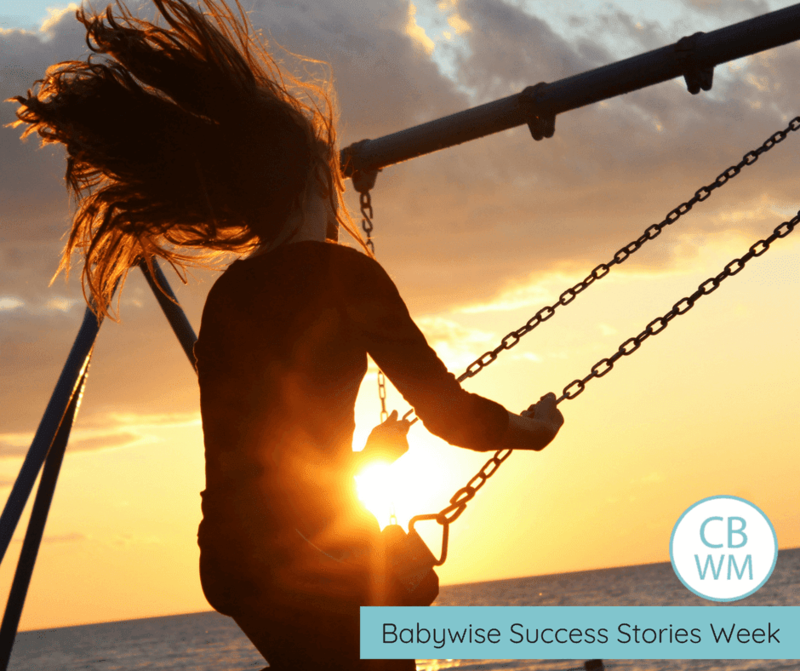 While Babywise is often read and implemented by parents with newborns, I think the real genius of it actually comes into play in the older years. I read Babywise before my first son was born and so I have used it with all of my children; however, I wasn’t prepared for how it would help us in welcoming an older child to our family! We fostered, and later adopted, our daughter beginning when she was 11 years old. She came to us after a turbulent childhood with very few rules and nothing she could rely on. In fact, even food was not a given on any particular day or at any particular time. She was not underfed per se, but she truly never knew when, or what kind of, food would be available. After getting her settled in at our home, I realized that she was sneaking food and overeating to the point of giving herself heartburn at every meal. This is not at all uncommon behavior for a foster child, so we were not terribly surprised. We talked to her about it, but of course one can intellectually *know* a fact (that food will be given when needed) and yet not truly, deep-down accept it. She needed something more convincing than the promise of two adults she had never known before! So, I posted a schedule on the fridge for meals! I pointed to it and assured her that these were our mealtimes and we would always have food at these times. It took some time, but once she saw that we genuinely did *always* eat at those times, haha, she settled in and gradually stopped hoarding food in her bedroom. It has been several years and still, we eat at those same times: 7:30am breakfast, 11:30am lunch, 3pm snack, and 5:30/6pm dinner (depending on sports schedules). Our daughter now not only understands our routine, she will now often cheerfully offer to prepare lunch or gently remind a younger sibling that it will not be lunchtime for another half hour. Recently, I went into labor with my youngest much earlier than expected and our babysitters were all out of town or not answering their phones! She was old enough to babysit, but would she be able to handle dinner time without us?? The answer was a resounding “yes”! At 4:30pm we got a text from her at the hospital asking if it was alright if she made chicken tenders and fries for everyone for dinner. She then proceeded to serve dinner right on time, and all the kids had all eaten and cleaned up and, for the younger ones, gotten into their pajamas before our friend got there at 8pm! She was so impressed with how smoothly everything was running in our absence. Honestly, it was due in part to my two oldest children’s maturity and resourcefulness, but also it was because we had a family routine and everyone from the oldest to youngest knew it. Nobody complained about doing the chores because they were done every night. Nobody was confused at being reminded to put on pajamas because they knew that bedtime was the same every night. While Babywise is a blessing for families with babies and toddlers, its true genius is often only seen a decade or more later, as the family routine has become a part of the family culture.